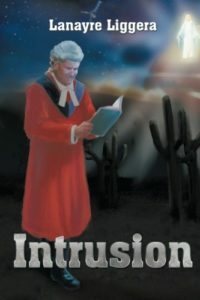 The following is a guest post by Lanayre Liggera, author of Intrusion. It was summer, and I was eight years old. In the bottom of the Dutch Reformed Church, my mother was teaching summer Bible school; we were on the Beatitudes, to be exact. It was a typical summer day, the smell of blooming flowers and trees, and the lazy summer light reaching through the windows even though they were set near the ground. Suddenly I was aware that the back door was dissolving slowly as a light penetrated it, gradually entering the room. It was in a shape I would call triangular—narrower at the top, widening toward the bottom, definitely animate, its surface not flat, but, for lack of a more elegant word, in a pattern of small, circular bumps, emanating a light which even then I knew was unearthly, if not only by the appearance, but by the aura which it emanated, which was unearthly, completely peaceful, and completely understanding. Even as a child, I knew it was best to keep this to myself. I don’t know why I knew why, but later I learned Protestantism did not believe in dispensationalism, that is, the survival of the powers of the Holy Spirit after the Apostolic Age. Later, I learned the light was the Shekinah, the glory of God. I have a photograph on my desk taken in 1979 of myself (white, Caucasian) and Bessie Burkes (Afro-American) singing together on stage, bathed in bright white light into one single form which the photographer could not explain. The night before, we had been the only people in the auditorium, as sound checks were being conducted. I was in the front row watching; before me, I saw this stately woman in a long dress, wearing jaw cross. She looked down at me. “You a Christian?” she inquired. When I answered in the affirmative, she said, ‘Get up here I couldn’t sing a note until you got here!” Her last words to me were, “Lannie, Jesus speaks through us.” Bessie was dying of cancer. Her audience? The National Women’s Music Festival, containing many gay women. The auditorium was dark, so we could not see the audience; but we heard a rustling when Bessie tore into her last number, “The Saints Go Marching in.” Half the audience ran up on the stage to join us. More remarkable still, I learned Bessie had come and in her workshops spoken against women sleeping with women. Stranger still, they loved her for her honesty, and the crowds around her grew. Why? They knew she loved them—or, a short time before her death, she would not have bothered to come. Yet before there was light, even divine light on earth, ‘darkness covered the face of the deep,’ light came, and the darkness has never overcome it, but neither has the darkness vanished. It left its stain on earth, and, with that stain, evil. My childhood faith gradually evaporated through college. I joined the Roman church because I realized they recognized the mysticism I would later call the Holy Spirit. I married and became very involved in the so-called ‘second wave’ of the women’s movement, most notably, in the New Harmony Sisterhood Band. Then came the charismatic movement, with its anointing of the gift of the Holy Spirit. Did it mix with my political activities? Did Jesus eat with tax collectors? How else would I have found the opportunity to play with Bessie Burkes at the National Women’s Music Festival? We are told that for every action there is an equal and opposite reaction. When I was a child, I always feared there was a malevolent presence in my closet, watching me, which always made me afraid to go to sleep at night. As well, whenever I climbed the stairs I sensed a presence at the bottom holding a spear—and I never knew when he would throw it. As the years passed, after I converted to Catholicism because of its mystic traditions, I stayed out of church because of an overpowering fear that the roof was going to cave in. We attended the Vedanta Society in Boston, an experience I consider invaluable. As for the teacher, my husband’s grandmother lived in Sicily and wanted to write us a letter but did not know English, so she asked a member of her family, Fr. Ferdinando Barone, to write it for her. I wrote back, and he started to teach me. However, my first experience with the demonic nearly got me killed. We had a couple with whom we had been friends for some time—one a non-practicing Jew, the other a non-practicing Catholic. They went for a vacation on one of the Aeolian Islands, where, as it happened, a real and powerful witch lived—many people had fled the island in fear of her, and, traditionally, crossed water to get away. This witch put a curse on our friends, which manifested itself through their three year old son, who would utter a little phrase, then predict what would happen—“Grandmother will die, my sister will break her arm,” etc., all of which happened. When he predicted that his father would soon see his mother (who was dead) they were frightened enough to actually turn to religion! We had a priest-friend we confided the situation to, who came to our house (“It doesn’t sound like they are church people!” he remarked). When our couple arrived, they explained that our priest should not be offended if their son would avoid him or not talk to him—this was one of his syndromes, along with the more frightening one of refusing to eat—trying to starve himself to death to get rid of evil. “In the mountains,” Jonathan replied, which we all agreed were a good answer for a kid with Jewish heritage! Then he hopped down and ate a large lunch. Happy ending, right? I really didn’t pay much attention when they asked me if I was OK. Several weeks later I had to drive through the Callahan tunnel to Logan Airport; as I entered the tunnel, the words “and he descended into hell” flashed through my mind suddenly, a force attempted to grab the steering wheel and crash the car into the tunnel wall. I kept pulling it back and yelling aloud “Oh Lord make speed to save us, Oh Lord make haste to help us.” (Ps 40.) I knew if I stopped I would have surrendered to this evil power, and I would be better off dead; so we struggled along to the opposite end, when it left. Folks—it was four years before I would drive through a tunnel again! Meanwhile, Fr. Ferdinando began to pray. The witches’ husband died, she had a nervous breakdown and never came out of her house again. Nor is that all—mysteriously, people who had fled the island actually began to feel it was safe to go back again, began to brush up on their Italian, and, presumably, –went! I met two of them who told me the exact same story. So—before we let our kids grow up thinking it is cool to have some kind of magic “power” which is really neat—they are being told that evil is good—and hopefully, the tide will turn and someone will have the courage to speak the truth. The devil is alive and well and quite delighted with all these “children’s” stories! 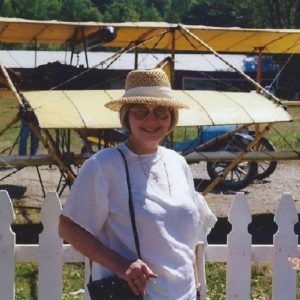 More about the author and her work: Lanayre Liggera’s website.